We partner with several professional organizations to offer members exclusive benefits including preferred pricing, access to specialized training and other resources to encourage their use of technology. The Association of College and University Auditors (ACUA) provides members with exclusive benefits including preferred pricing on IDEA, annual support and maintenance, Apps and training. We provide hands-on training at select ACUA conferences to help college and university auditors use data analytics to detect fraud, prevent p-card misuse and take a data-driven approach to audit engagements. We share information and best practices with The Association of Government Accountants (AGA) leadership and senior-level government executives to help governments use data analytics to prevent fraud, waste and abuse. Founded in 1887, the American Institute of Certified Public Accountants (AICPA) is the world’s largest and most respected associations representing the accounting profession. We offer the following section members preferred pricing to gain access to industry standard data analysis technology and training to assist them in conducting more thorough and efficient audits: Information Technology (IT), Forensic and Valuation Services (FVS), Private Companies Practice Section (PCPS) and Information Management & Technology (IMTA) – preferred pricing on new purchases of IDEA and public and/or on-site training. CaseWare Analytics is home to IDEA® Data Analysis software. The company’s software solutions are built on a foundation of industry best practices and expertise, enabling audit, compliance and finance professionals to assess risk, gather audit evidence, uncover trends, identify issues and provide the intelligence needed to make informed decisions, ensure compliance and improve business processes. CaseWare offers solutions that meet the needs of auditors, analysts, purchasing card managers, compliance officers and more. With 40 distribution offices worldwide, CaseWare Analytics’ products and solutions serve more than 400,000 professionals in 90 countries. To learn more visit casewareanalytics.com. For more information about each of our Partners, visit their websites or contact us at [email protected] to provide us with your scope of work, and we'll match you with the right partner. 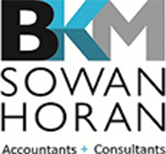 BKM Sowan Horan provides a variety of accounting and audit services including assurance, tax, business valuations, forensic, litigation, IT audit and consulting. The firm specializes in financial audits, IT project management and compliance-related consulting including Sarbanes-Oxley (SOX) audit services and Service Organization Control Reports (SOC). As an Integration Partner, BKM Sowan Horan offers a unique mix of IT and CPA knowledge allows them to get the right kind of data, develop tests that meet internal controls, search for fraud and errors, and generate meaningful insights. They are available to help organizations develop data analytics solutions that make sense and extract maximum value from the data. For more information, visit bkmsh.com or contact Kevin Rockecharlie, Director of IT Assurance Services, at [email protected]. Carrtegra is a Houston-based management consulting firm specializing in Internal Controls; Compliance and Ethics; Financial Advisory; Technology Services; Risk and Security; and Financial Talent. Carrtegra consultants work closely with their clients to provide carefully tailored high-value solutions. Our professionals provide value and guidance by leveraging experience, industry knowledge, familiarity with laws and regulations and creativity. Carrtegra brings years of experience in designing and reviewing processes, evaluating controls and system risks, and making critical recommendations that increase process efficiency, reduce risks and enhance system security. As a Partner, Carrtegra provides a seasoned approach for utilizing IDEA in creative ways to evaluate unusual situations, resolve the unreconciled, investigate fraud and monitor processes for compliance. For additional information, visit carrtegra.com or contact Sam Carr, Partner, at [email protected]. GPS Consultants, LLC was founded by Chris Peters in May 2011 and specializes in assisting clients with Growth, Productivity and Strategy through enhancing performance monitoring and record keeping, streamlining accounting and administrative processes, and solving business problems through forensic accounting and database analytics. As a Partner, GPS can assist with setting up an architecture to implement and use data analytics, streamline accounting and administrative processes and forensic accounting. For additional information, visit www.GPSconsultants.com or contact Chris Peters at [email protected]. Key Performance Initiatives provides advisory and consulting services in governance, risk management, compliance, internal audit, data analytics, quality and operations. Co-founder Scott Jones has more than 40 years of leadership and management experience working in a variety of industries including quality management, global aerospace/defense engineering, manufacturing and others. Since 2010, Jones has used IDEA to improve governance, reduce risk and improve business processes. As an Integration Partner, Jones helps professionals get started with IDEA, apply IDEA to financial and operational data analytics and statistical analysis. For more information about Key Performance Initiatives, visit keyperfin.com or contact Scott Jones at [email protected]. Visual Risk IQ is a service and software firm that helps clients achieve effective results in business performance and internal controls using a combination of deep business experience and cutting-edge technologies including continuous auditing and continuous monitoring tools. Visual Risk IQ provides expertise to codify specialized industry, regulatory, and business knowledge to answer important questions about business performance and internal controls. Through data analysis of information contained in disparate internal and external databases, Visual Risk IQ enables rapid identification of errors, compliance issues, or financial fraud. For additional information, visit Visual Risk IQ.